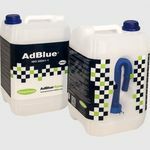 GreenChem is one of Europe’s largest AdBlue® producers and distributors. Part of AGROFERT Holding a large privately owned Czech company which employs more than 34.000 people divided over seven business units. The Chemical division, which is almost 35% of the business, contains amongst GreenChem also two large Urea production companies, which supply the raw material for AdBlue® to GreenChem.